Happy Sisters Day to both of you. We guess the summer slideshow took everything out of you two. 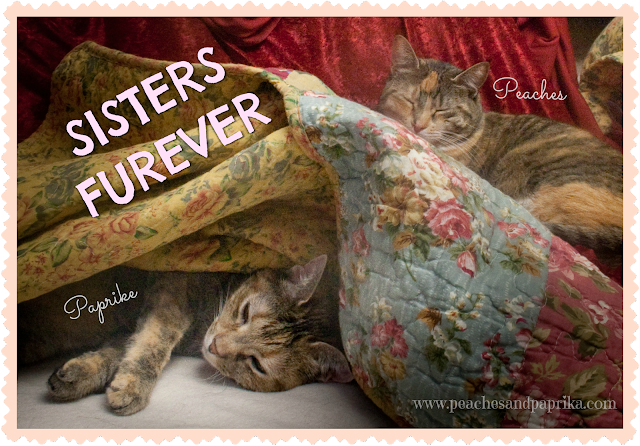 Paprika is so cute under the quilt and hopefully you were too have good cat naps together. Thanks for the share. Have a great day. Happy Sister's Day cuties. I guess it is good I saw my sister today.